Entangled in complex ecological, sociocultural, and economic systems, current environmental health problems require integrated participatory approaches. Alpuyeca, a semi-urban, highly marginalized community in South-Central Mexico burdened by lead and polychlorinated biphenyl (PCB) contamination, dengue fever, and intestinal diseases, illustrates this. Its residents are distinctive, however, for their concerted actions in the face of environmental problems and the presence of defenders of a prehispanic worldview based on the protection of nature. 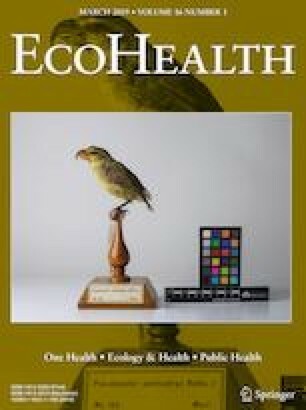 This article addresses the health impacts of an integrated environmental health promotion strategy implemented through a participatory action research intervention based on qualitative and quantitative methods. Different actors, sectors, dimensions, and knowledge types were harmonized in a collaborative space created specifically for our interdisciplinary research team, community residents and local authorities. Reflections, plans and actions were developed collectively in this space with the view of finding solutions anchored in the local culture. Results included sharp reductions in blood-lead concentrations among children, in entomological indices, and in PCB contamination, as well as capacity strengthening. Medium-level community participation was achieved. This work contributes evidence that participatory environmental health research can be effective in analyzing and reducing problems in communities with multiple environmental health concerns. It complements ecohealth and environmental health literacy approaches. This study was funded by the Fondo Mixto de Fomento a la Investigación Científica y Tecnológica CONACYT-MORELOS (MOR-2009-C01-116080). This study was made possible thanks to Norma Garduño-Salazar, Blanca Lilia Gaspar-del-Angel, Leonardo Mancilla-Sánchez, members of the CASITA group, Alpuyeca Community and to the Program of doctorate in community health of the University Laval, Québec. Informed consent was obtained from all individuals who participated in the study. ATSDR (2000) Toxicological Profile for Polychlorinated Biphenyls (PCBs). Agency for Toxic Substances and Disease Registry. Available: http://www.atsdr.cdc.gov/ToxProfiles/tp.asp?id=142&tid=26. Accessed August 9, 2017. CDC (2012) LEAD. Update on Blood Lead Levels in Children. Atlanta, USA: Centers for Disease Control and Prevention. Available: http://www.cdc.gov/nceh/lead/acclpp/blood_lead_levels.htm. Accessed March 10, 2015. CENAPRECE (2014) Anuarios de morbilildad 1984–2012: Dirección general de epidemiología. Available: http://www.cenaprece.salud.gob.mx/programas/interior/vectores/dengue.html#. Accessed June 4, 2015. EPA (1992) Guidelines for Exposure Assessment. U.S. Environmental Protection Agency. Available: https://www.epa.gov/risk/guidelines-exposure-assessment. Accessed April 10, 2015. EPA (2016) Risk assessment portal. Human health risk assessment. Available: http://www.epa.gov/risk/health-risk.htm. Accessed August 2, 2018. INEGI (2010): Censo de población y vivienda 2010: INEGI. Available: http://www3.inegi.org.mx/sistemas/iter/consultar_info.aspx2. Accessed April 6, 2015. SSA (2001) NORMA Oficial Mexicana NOM-032-SSA2-2002, Para la vigilancia epidemiológica, prevención y control de enfermedades transmitidas por vector. : Diario Oficial de la Federación. Available: http://www.salud.gob.mx/unidades/cdi/nom/032ssa202.html. Accessed May 2, 2018.
WHO (2016) Shanghai Declaration on promoting health in the 2030 Agenda for Sustainable Development, Vol 2017. Available: http://www.who.int/healthpromotion/conferences/9gchp/shanghai-declaration/en/ [November 6, 2017].